Looking for a rich and hearty meal that doesn’t require a lot of time in the kitchen? This excellent one-pot Beef Stew will fit the bill. Made in a cast iron Dutch oven, it requires 40 minutes of hands-on cooking time, then a low and slow simmer that makes the meat meltingly tender and brings all of the rich flavors together. No beef stew is complete without lots of vegetables, and this one includes mushrooms, carrots, and pearl onions. We add extra flavor to the cooking liquid (beef stock) with brown ale beer. Any brand will do; we recommend Ghost Train Brown Ale, which also pairs deliciously with the finished dish. On the side, serve the Beef Stew with the easiest garlic bread ever: our Buttery Garlic Bread. 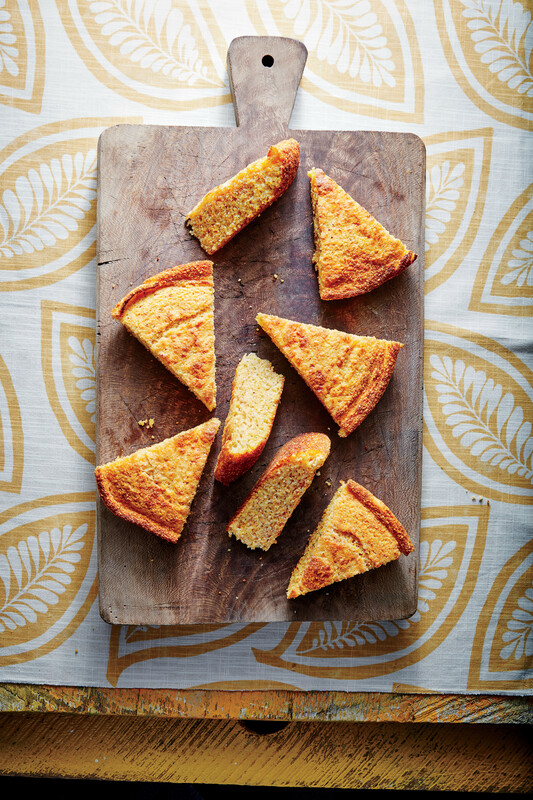 This crunchy and delicious bread is great for mopping up that last bit of stew in your bowl. Instead of toasting the sourdough bread in the oven, we use a cast iron skillet to give the bread a nice crisp texture. Rub both sides of the bread slices with the cut sides of a garlic clove, for garlic flavor that’s not too overpowering. Melt two tablespoons of butter in a large cast-iron skillet over medium-high. Once the butter begins to foam, add the bread slices in batches, turning immediately to ensure both sides are coated with melted butter. Cook until the bottoms are golden, about one minute. Round out the Beef Stew with Buttery Garlic Bread with a simple green salad and dinner is served! Heat oil in a large cast-iron Dutch oven over medium-high. Add beef, and sprinkle with 1 teaspoon of the salt and 1/2 teaspoon of the pepper. Cook, stirring occasionally, until browned on all sides, about 6 minutes. Add mushrooms, carrots, and onions, and cook over medium-high, stirring often, until vegetables begin to soften, about 5 minutes. Add flour and garlic, and cook, stirring constantly, 1 minute. Add beer, and simmer until reduced by about half, about 2 minutes. Add stock and remaining 1 teaspoon salt and 1/2 teaspoon pepper, and bring to a boil. Reduce heat to medium-low; cover and simmer until beef is very tender, about 1 1/2 hours. Rub both sides of sourdough bread slices with cut sides of garlic clove. Melt 2 tablespoons butter in a large cast-iron skillet over medium-high. Once butter begins to foam, add 3 bread slices, turning immediately to ensure both sides are coated with melted butter. Cook until bottom is golden, about 1 minute. Turn bread slice, and cook until bottom is golden, about 1 minute. Repeat with remaining 2 tablespoons butter and 3 bread slices. Serve Buttery Garlic Bread immediately with Beef Stew.